de Bakker, J.W, & van Leeuwen, J. (1983). 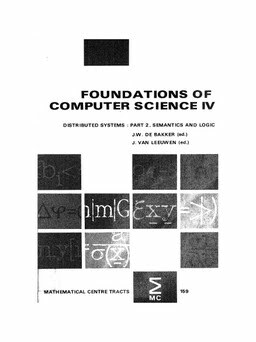 Foundations of computer science IV : distributed systems : [4th advanced course on the foundations of computer science, held in Amsterdam, 14-25.06.1982], part 2: Semantics and logic. MC Tracts. Centrum Voor Wiskunde en Informatica.